Ten years after retiring as a nurse, Sister Miriam Ase returned to the workforce, upholding the oath she took in her chosen profession as her duty to care for the sick. 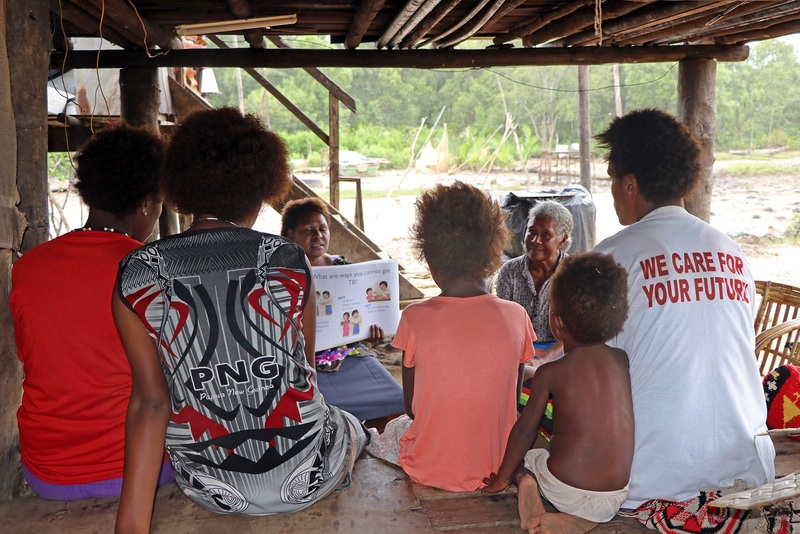 With over 40 years of nursing experience and a heart-warming smile, Sr Ase has become a familiar face across Daru Island, Western Province, working with communities on the frontline of the emergency response to tuberculosis (TB). Daru has one of the highest TB and multi-resistant TB rates per capita in the country. Contact tracing is part of a holistic approach to tackle TB in Daru, including early identification and diagnosis, strengthened case management and infection control. The Australian government is supporting the emergency response to TB in Daru in partnership with the National Department of Health, Daru General Hospital, World Health Organization, World Bank, Burnet Institute and World Vision.